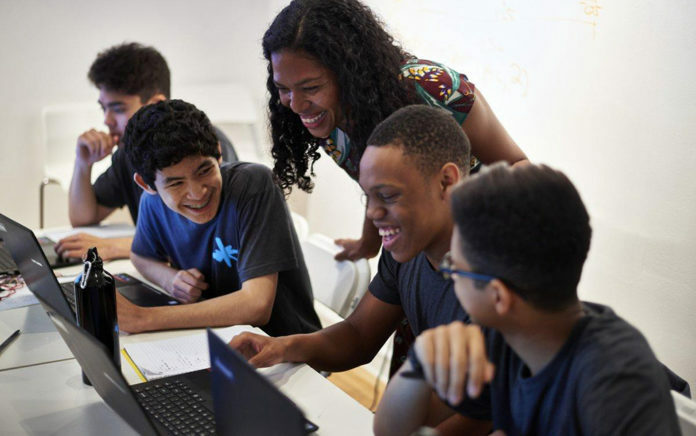 Among the STEM programs that have sprouted up over the past five years designed to promote STEM and provide computer instruction for high school students, All Star Code, founded by Christina Lewis Halpern, is one that has been making waves since 2013. Just recently, the company raised over $1 million to expand their STEM programming. All Star Code?s flagship program is a 6-week Summer Intensive where coding is taught to young men of color who are rising high school sophomores and juniors. Taking place from July 9 through August 17, the program is already closed to new registrants, but interested participants can check the company?s newsletter for updates on when to register for next summer?s program. Davis says free transportation and laptops are provided thanks, in part, to its corporate partners such as AT&T, Cisco, Goldman Sachs, Major League Baseball, JP Morgan Chase and Meta Data. ?Through our very generous funders, we?ve raised $1 million to support our Summer Intensive as well as our alumni program, which students matriculate into after the Summer Intensive ends,? he shares. And the feedback speaks for itself. ?Our students have gone on to some of the best colleges in America, some have launched hedge funds where they deal with adult clients to help them manage their money effectively and some develop business pitches, ideas and apps with other co-members of the program,? he notes. ?The long term investment is computer science and entrepreneurship for our students.? Davis goes on to share that Halpern Lewis? father, American businessman Reginald F. Lewis, was the business influence for the conception of the program. ?A lot of the program is based on insight that Christina has about her father?s life, so that?s a good thing to have,? he says. ?He was a very influential figure in the business world in the 80s. His billion-dollar leveraged buyout of Beatrice Foods was a milestone in American business, certainly for Black Americans. There’s so much to his legacy. He was the first person to ever be admitted to Harvard University without having to take the entrance exam. For Christina, it?s about giving students the opportunities, the mentorship and the mindset that he had that, ultimately, led him to the successful place in life where he was. ?